Funny Greeting Card. Why Are There Never Any Good Side Effects? Just Once I'd Like To Read A Medication Bottle That Says... Card #414. 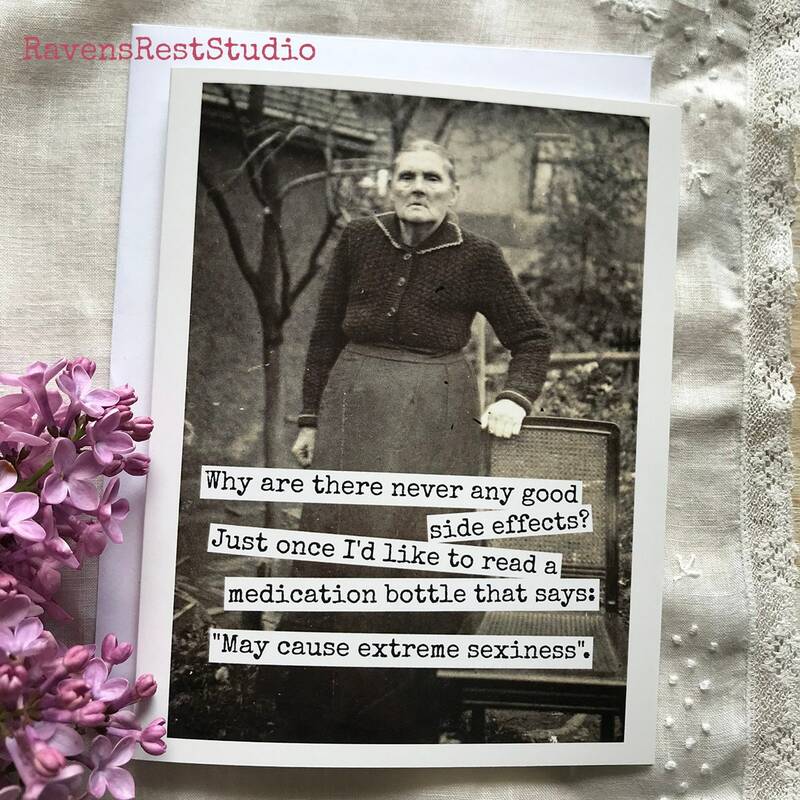 This card features a vintage woman and reads: "Why are there never any good side effects? 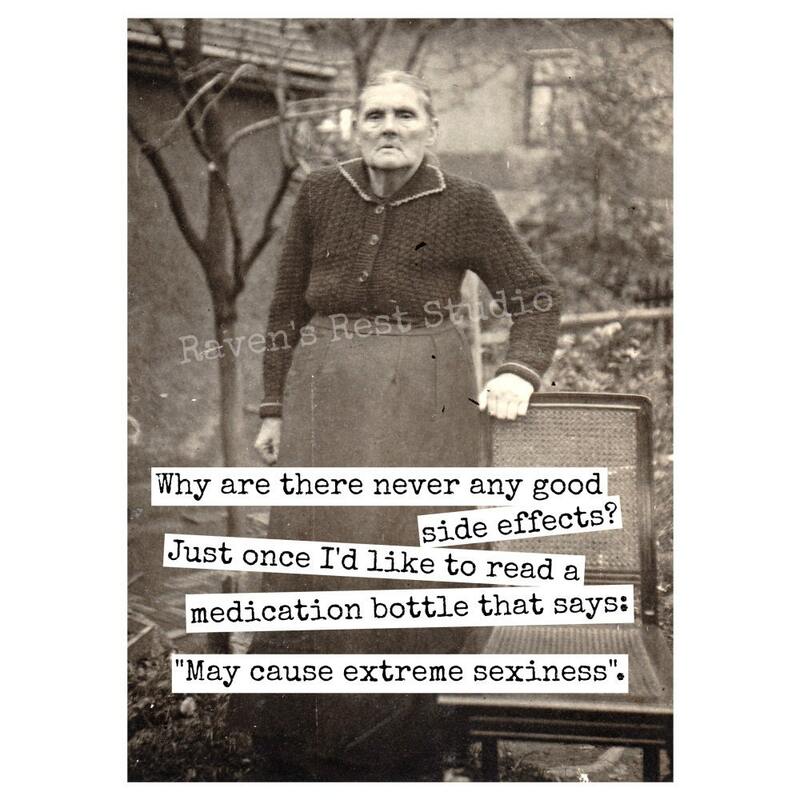 Just once I'd like to read a medication bottle that says: "May cause extreme sexiness". Received funny greeting card with vintage photo. Love it. This card says it all. I love it. Great Card, fast shipping. 2nd order!! I work in pharmacy and I find this hilarious! Can't wait to give it to my colleague.